Stamping In Living Color: Design Team Member! Hello, fellow stamping enthusiasts! I am happy and proud to announce my inclusion as a member of Robert Jackson's Digital Expressions Design Team. Robert Jackson is an extremely talented illustrator and artist. I am so thrilled to be part of a crafty group of stampers dedicated to celebrating his creative vision. 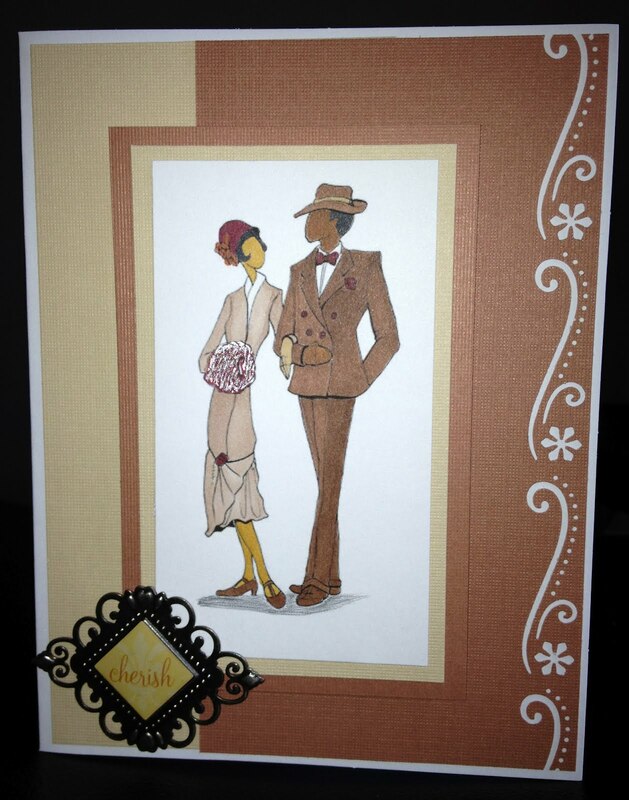 To kick things off, I created this card using the digital image, "Couple," that has a vintage flair. The rich, stunning colors were provided by several of my favorite Blick Markers. 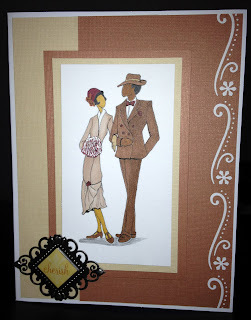 To accent the DCWV card stock, I used an EK Success punch, then topped the card off with a metal embellishment by Making Memories. Jackson's Digital Expressions for a look-see. We are, now, hosting a NEW CAS Challenge with the theme "Family Matters" and it's an "Anything Goes...With a Twist" Challenge, but you don't have to add the "twist" if you prefer not to. (smile). Please come join the fun!!! 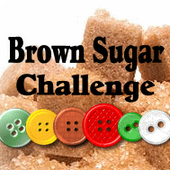 You will find all the entry details on our JDE web site. See you there! I love this! It reminds me so much of my very favorite photo of my mother and father from back in the day long before I was born.